/ 10 Strangest New Year Traditions from around the world! 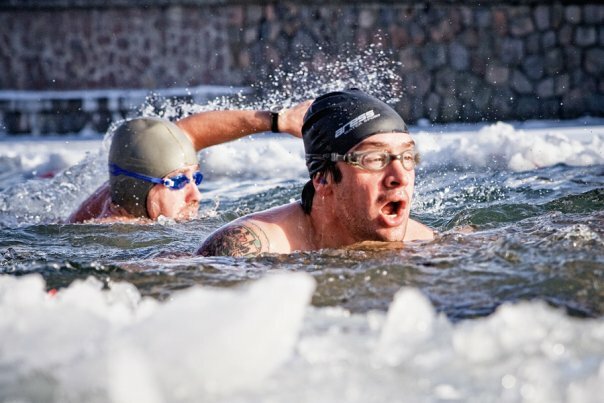 Across the world, people bring in the New Year with the strangest of traditions! Don’t believe me? 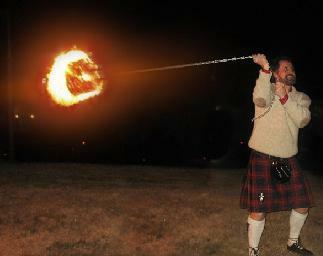 As soon as you get used to the Scottish tradition of men in Kilts, you will see these costumed men on streets on New Year’s eve swinging great blazing balls of fire! This is a part of the custom parade in Stonehaven, Scotland and is a part of the Hogmanay celebrations but its roots can be traced back to the Vikings era. The word Hogmanay means ‘the last day of the year’. Just because our relatives or members of the kin are dead, doesn’t mean we can’t celebrate the New year in their cpmpany. As a tradition, the locals from Talca in central Chile, celebrate the onset of New Year in the graveyard where their relatives are buried. This was started by a family who had to break into the graveyard to be close to the body of their father on New year’s eve. Hence, now the Mayor has all the graveyards open after the late night mass. 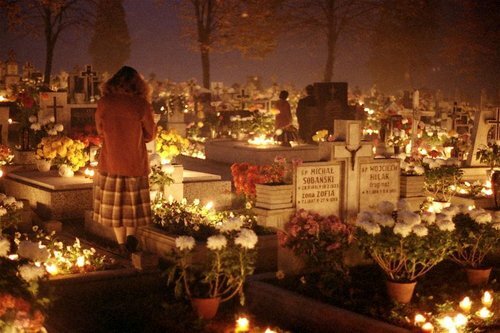 Locals sit around their relatives’ graves with lit candles and music in the background. In the villages of Romania, farmers to hear what their animals say. This is a complete ritual which if successful brings good luck to the farmers in the coming year. 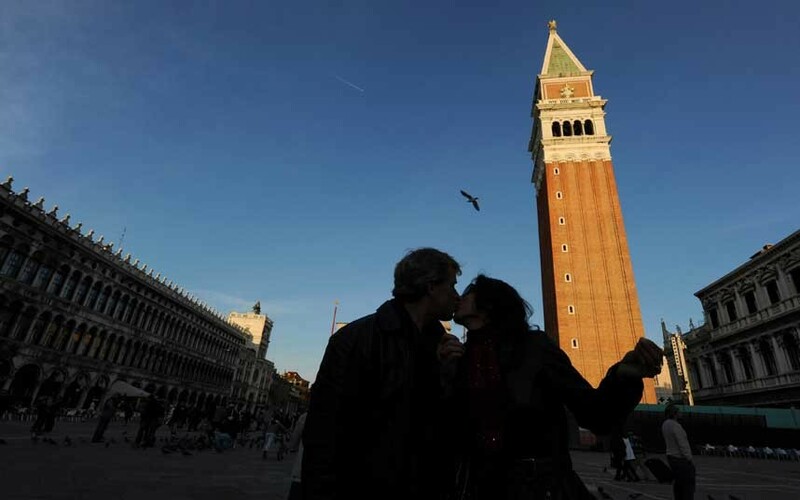 St Mark’s Square is known for holding not only a big firework display over the Basin of St. Mark but for something far more unusual, a mass kiss-in in the piazza. It is funny that people wait for the New year’s eve in South Africa to throw out old furniture, literally! Yes, if you happen to be in Johannesburg, South Africa on New Year’s eve you’d better look up and walk as local residents, especially in Hillsboro, chuck their old furniture from their windows onto the streets. Planting a tree is a noble act in today’s day and age. And what better time to do so than New Year’s day? 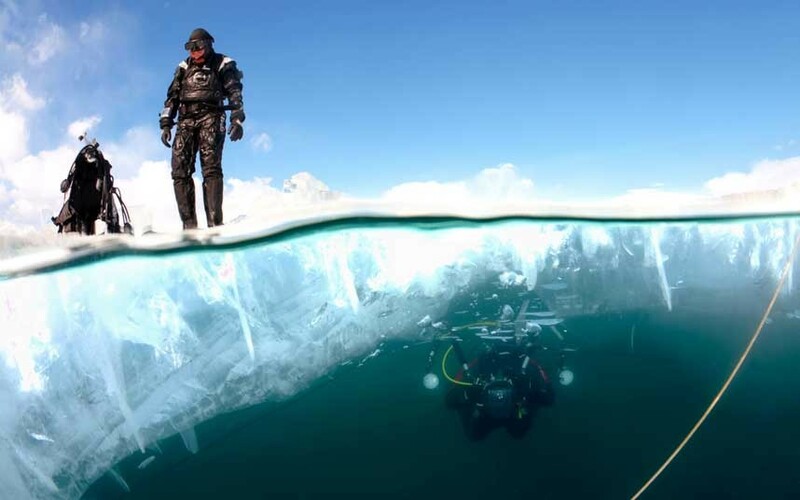 Yes, in Siberia it is customary to cut a hole in the iced covered Lake Baikal and dive down to the bottom of the lake to plant a New Year’s tree. Romanians love their animals or so it seems! 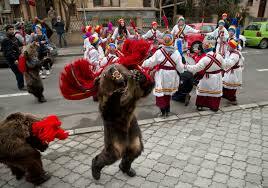 On New Year’s eve, people take to the streets dressed in bear costumes and dance in front of different houses. 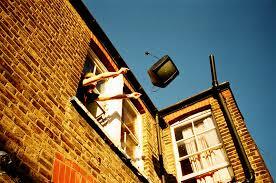 This is said to shoo away evil. Brassstown, North Carolina has, perhaps, the weirdest New Year tradition! 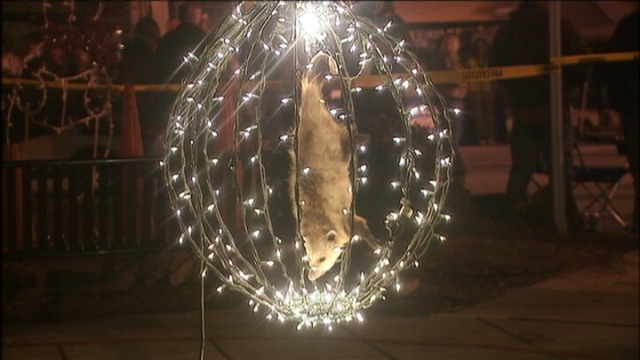 Apparently, the locals lower a possum trapped in a transparent box over a noisy crowd and this act is known as ‘possum-drop’. Grapes has never been as important it is on New year’s eve in Spain. 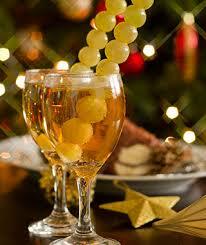 Party revellers stuff their mouths with grapes – one for each chime of the clock when the New year count down begins. In Saundersfoot,Wales, at least 2000 people braved to swim in the icy cold waters to bring in the New Year.